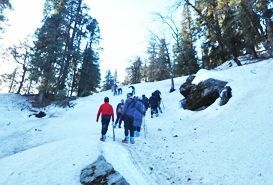 Dodital Trek is a perfect trek for the beginners. 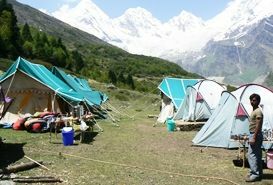 Taking you to Garhwal Himalayas, the trek includes camping at the beautiful Dodital (Dodi Lake) before reaching Darwa Pass. 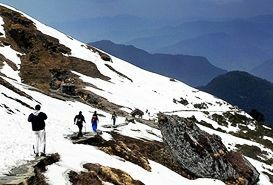 The pass offers spectacular views of Bandarpunch Peak and snowcapped points of Dhaula Dhar and Hanuman Chatti. 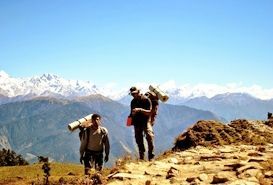 This one is a short trek and it is a must while you are planning to trek in Uttarakhand. 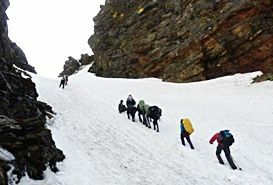 The difficulty level of the trek ranges from easy to moderate. 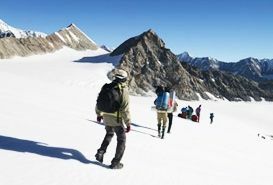 The trek covers passing through thick forests, picture perfect landscapes, large meadows and stream crossings. 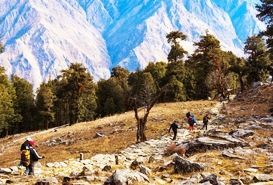 The trek starts from Sangam Chatti (kalyani) road near Uttarkashi and completes at the Hanuman Chatti. 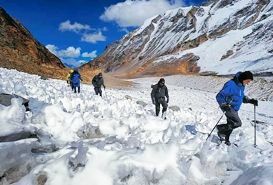 From Dodital Lake, trekkers need to trek uphill to reach the Darwa pass, also called as Bakaria Khaga pass. Set at an elevation of 3050 m, Dodital is all around surrounded by pine, oak woods and rhodendron forests. The Dodital Lake is known for being home to the famous Himalayan Golden Mahseer fish. On your arrival at Haridwar, meet our tour guide and straight away drive to Sangam Chatti. It is a 7 hours drive. Home stay at Sangam Chatti. 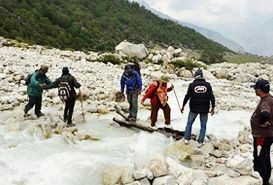 On the second day of your Dodital trek tour, you start your trek from Sangam Chatti to Bevra. Overnight stay at Bevra. Today, you continue your trek from Bevra to Manjhi. Night stay is scheduled at Manjhi. 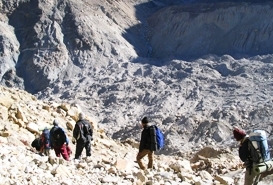 On the fourth day, you indulge in a trek from Manjhi to Dodital (Zero Point). On reaching Dodital, adore the enchanting surrounding. Night stay at Dodital. 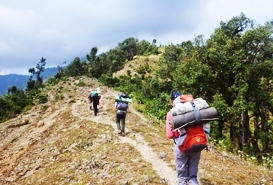 Today, from Dodital, start your return trek to Bevra. Overnight stay at Bevra. 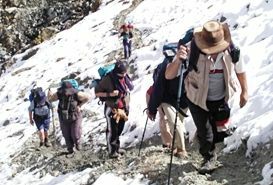 On the sixth and last day of your Dodital trek tour, you trek back to Sangam Chatti. On entering Sangam Chatti, get transferred to Haridwar for your onward destination. Rail head - Haridwar is the nearest railway station.